All necessary components are provided in a convenient, all-in-one kit that takes the guesswork out of purchasing individual components. The included Pondless Waterfall Vault makes accessing your pump and checking water levels quick and easy and the included AquaBlox eliminate the need to fill your basin with large quantities of gravel and stone. 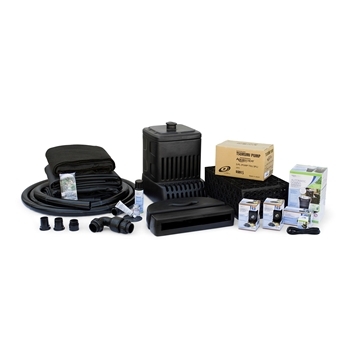 Now including the innovative Automatic Water Treatment Dosing System helping to ensure optimimum water conditions and reducing maintenance, allowing you to spend more time enjoying your water feature.